Exxon Mobile, one of the largest oil corporations in the world, finds itself in a quandary. In November 2011, it was revealed that it had signed a number of deals to explore for oil and gas in Iraq’s Kurdistan. The problem is that Baghdad considers any such agreement illegal, and has threatened to end Exxon’s contract to develop an oil field in southern Iraq in retaliation. The outcome of this dispute is not only important for Exxon, but could also influence the passage of a new hydrocarbons law in Iraq’s parliament. Baghdad has strenuously objected to the Exxon deal, which has angered the Kurds. The head of contracts and licensing at the Oil Ministry told the press that Exxon had to choose between its investments in southern Iraq and those in the north. He went on to say that the Ministry sent three letters to the company warning them about entering Kurdistan. Deputy Premier Hussein Shahristani who is in charge of energy, has repeatedly told Exxon of the consequences of its actions. For years now, Shahristani has claimed that all the Kurds’ oil and gas deals are illegal, because they did not go through the central government. He recently threatened sanctions against Exxon if it continued, which could mean that it would lose its operations in southern Iraq. Exxon currently runs the West Qurna 1 oil field in Basra along with Royal Dutch Shell, and is leading the construction of a large water injection plant to help with the extraction of oil for several fields in Basra. Finally, both Prime Minister Nouri al-Maliki and Oil Minister Abdul Karim Luaibi corresponded with Exxon as well. In the past, Baghdad has blacklisted companies that chose to work in Kurdistan. The Kurds of course, are furious at these actions. On November 17, senior oil officials from Baghdad and the KRG met, and were hoping for some sort of compromise, but the central government proved unwilling to do so. Oddly enough, Exxon has remained silent during this entire controversy over its actions. The basis of the dispute between the KRG and Baghdad is their conflicting interpretations of the constitution. Article 112 says that the central and regional governments will manage the extraction of natural resources, and that they will work together to formulate strategic policies on how to exploit them. The Maliki government has taken that to mean that they are in the control of all contracts and development, and in practice has not included anyone else in decisions. The KRG on the other hand, believes that they have control of the oil and gas in their region, and can sign their own contracts as a result. The central government has largely held the upper hand because most of the oil and gas are located in southern Iraq, and it controls the export pipelines. The Kurds have been able to attract roughly 40 companies however, but most of them are only involved in exploration rather than actual production, and only two fields are allowed to export petroleum under a deal cut between Kurdistan and Baghdad. This argument over who has authority to sign deals is now playing out with Exxon. The central government’s actions have been enough to scare off other major oil companies from Kurdistan as well. Shell, Chevron, and Italy’s Eni were all allegedly in talks with Kurdistan over investing there, but the Exxon dispute has made them back off. All of those companies won rights to develop fields in southern Iraq in 2009, and Shell is hoping that a natural gas deal will be finalized soon as well. Again, since there are far larger oil and gas reserves in the south than Kurdistan, the foreign companies do not want to jeopardize that for the potential of Kurdistan. The Exxon contract might also complicate talks over passing a new oil and gas law in parliament. The Exxon deal came right after there were reports that the KRG and Baghdad had agreed upon amendments to a draft hydrocarbons law that was drawn up back in 2007. Members of the oil and gas committee in the legislature for example, said that the two sides had compromised on foreign companies operating in the north. Now, the Maliki government may harden its stance, because it will lose face if it allows Kurdistan to not only to go ahead with the Exxon deal, but get its existing contracts accepted as well. That will be seen as a large victory for the KRG after all the objections Maliki and his officials have made. How all of this will work out is yet to be seen. Baghdad may feel that Exxon’s work is too important in the south to blacklist it, and cancel its work at West Qurna 1 and the water injection plant. The prime minister has been very jealous of maintaining and expanding his power however, which could lead him to sanctioning Exxon. After all, there are plenty of other major oil companies operating in the south, and West Qurna is jointly operated with Shell, who could take over full responsibility. Maliki could also move against Exxon, and then go ahead and compromise with the Kurds over the oil and gas draft law having made his point. Exxon’s reaction is not known either, and they could end up backing down under the pressure from the central government. No matter which way things go it will definitely set a precedent over how oil and gas are developed within Iraq. *With an MA in International Relations, Joel Wing has been researching and writing about Iraq since 2002. His acclaimed blog, Musings on Iraq, is currently listed by the New York Times and the World Politics Review. In addition, Mr. Wing’s work has been cited by the Center for Strategic and International Studies, the Guardian and the Washington Independent. Last edited by alan131210 on Tue Nov 29, 2011 12:55 pm, edited 1 time in total. ARBIL, Iraq, Nov 30 (Reuters) - Iraq's semi-autonomous Kurdish region will go forward with its exploration deal with U.S. oil major Exxon Mobil despite objections by the central government in Baghdad, the Kurdish president said on Wednesday. Masoud Barzani, president of the Kurdistan Regional Government, said Iraqi Prime Minister Nuri al-Maliki was told of the deal prior to its signing and had no objection, and called Baghdad's opposition unconstitutional. "The contract is not unconstitutional. Yes, we have signed with Exxon Mobil according to the constitution ... the objection that we heard from some officials is what is unconstitutional," he told Reuters in an interview. "We are committed to the deal and we will execute it without caring about what some officials in Baghdad say, which is against the constitution." The U.S. oil giant became the first major to move into the northern Kurdish region in mid-October when it signed with the KRG for six exploration blocks. The Iraqi oil ministry said the deal was illegal and could result in termination of Exxon's contract to develop the major West Qurna Phase One oilfield in the south. Officials later said they were considering sanctions. Exxon has not commented publicly on the agreement and Iraqi oil officials say the company has not responded to their requests for an explanation. The deal heightened tensions between Baghdad and Arbil, which have long-running disputes over oil and land, as U.S. troops pull out of Iraq. Iraq territories disputed by the Kurds and the Arab-led government in Baghdad are considered a potential flashpoint for future conflict in Iraq. Despite the silence from Exxon, the U.S. State Department commented on the deal, saying it hoped Iraq and Exxon could resolve the dispute in a way that would not undercut the future development of Iraqi oil resources. Interviewed at his sprawling hilltop headquarters outside the Kurdish capital, Arbil, Barzani said the Exxon deal would benefit all of Iraq, not just the Kurdish region. He said he was surprised at Baghdad's recent warning against the deal. "It is strange really, and has no meaning. For us, it doesn't mean anything," he said. "At the first step, I sent a message to the prime minister and informed him of all the details. The answer I got back was that there was no objection... Before the signing, yes." The Kurdish president criticised Iraq's oil policy and said Baghdad has been dragging its feet in approving a hydrocarbon draft law that was agreed between the two governments in 2007. "The oil policy in Iraq is a failed policy, I say it clearly. Ask the Iraqi people where are the oil refineries? ... How many hours of electricity are available for the Iraqi citizen in the center and south? And Iraq lives on a sea of oil," he said. "If it is not a failed policy, then what is the reason?" he asked. Barzani repeated a long-held KRG position that the oil and gas contracts signed by the Kurdish government are constitutional and the region will not give away such rights in order to solve its disputes with Baghdad. He also said under a 2007 deal both the regional and central governments agreed to continue signing contracts with oil companies until the long-awaited hydrocarbons law was approved. Maliki and Kurdish Prime Minister Barham Salih agreed in a meeting in October to present an oil law to parliament by year-end and said it would be the draft law approved by the political blocs in 2007, or a version of it with agreed amendments. Head of Foreign Affairs Department in Kurdistan Regional Government Falah Mustafa , in a press statement said that the Iraqi Federal Permanent Constitution gives his Government the right to sign oil contracts with foreign companies . Mustafa , stressed that Kurdistan Regional Government , will not relinquish this rights. The KRG pays great heed to develop the industry and natural resources sector in order to serve Kurdistan Region and Iraq interests , he clarified. The reason the arabs are concerned over the contracts is that we will become more self-sufficient, if more bigger oil companies invest in southern kurdistan we will become more self-sufficient and later declare us self as south kurdistan. That why the arabs are concerned. INDIVIDUALLY i hope that the election of the kirkuk area will end up in the kurdish hands then we declare our self independent. That's where we have all the oil. Untill that happens we should stop making contracts, taking kurdish oil money which will later end up in the hands of arabs. It's better we let the arabs pump up the oil for us, cause the richer iraq gets, the richer we get. We do get 1/5 of iraqs over 100 billion budget. Very stupid KRG. unitedkurdistan wrote: The reason the arabs are concerned over the contracts is that we will become more self-sufficient, if more bigger oil companies invest in southern kurdistan we will become more self-sufficient and later declare us self as south kurdistan. That why the arabs are concerned. INDIVIDUALLY i hope that the election of the kirkuk area will end up in the kurdish hands then we declare our self independent. That's where we have all the oil. Untill that happens we should stop making contracts, taking kurdish oil money which will later end up in the hands of arabs. It's better we let the arabs pump up the oil for us, cause the richer iraq gets, the richer we get. Signing the oil contracts is part of economic infrastructure that we need to have prior to declaring Kurdish independent . We simply can not postpone everything until Kirkuk is ours again ,because progress towards codependency must be made with or without Kirkuk being part of KRG (now or later) . Secondly Why leave the fate of Kurdish oil in Arabs hand ? KRG will get the 17% with or without signing contracts , so why not sign them and put ourselves on the road to be self sufficient instead of relaying on Baghdad . BRUSSELS Jan 2 (Reuters) - Energy exploration firm Afren said production at its Ebok field, offshore Nigeria, had reached around 40,000 barrels per day (bpd), taking its end-2011 net output to some 55,400 barrels of oil equivalent per day (boepd), ahead of target. An output rate above the year-end goal of 50,000 boepd has been sustained since Dec. 19, it said, as a result of operations in Ivory Coast as well as Ebok and Okoro in Nigeria. "The group is in a strong position with aggregate net working interest production of 55,400 boepd going into 2012," Osman Shahenshah, chief executive of Afren, said in a statement on Monday. He added the company's forthcoming drilling campaign in Ghana, Nigeria, the Joint Development Zone of Nigeria Sao Tome and Principe, Tanzania, Kenya and the Kurdistan region of Iraq had the potential "to materially transform and increase our discovered resource base". In Nigeria, output at the Ebok field has increased to a stabilised rate of around 40,000 bpd following the commissioning and ramp-up of all production wells associated with the initial phases of the development. In addition, gross production on the Ogini and Isoko fields, onshore Nigeria, has nearly doubled to around 10,500 bpd from 6,000 bpd following technical changes at the start of December. Over the course of last year, Afren's share price lost close to half its value, reaching a low below 75 pence in November. A December rally took it to 85.70 pence by the end of 2011, around 15 percent above the November trough. BUDAPEST Dec 28 (Reuters) - Hungarian oil and gas group MOL plans to boost its exploration, appraisal and development program in the Akri-Bijeel block in Kurdistan, spending more than $100 million on the project in 2012, the company said in a statement on Wednesday. Exxon Mobil Corp's deal with Iraq's semi-autonomous Kurdistan government to develop six exploration blocks is on track and there are no obstacles to it proceeding, the region's Natural Resources Minister Ashti Hawrami said on Thursday. The U.S. company became the first oil major to move into the northern Kurdish region in mid-October when it signed an agreement with the Kurdistan Regional Government (KRG). The Iraqi oil ministry then said the deal was illegal and could result in termination of Exxon's contract to develop the major West Qurna Phase One oilfield in the south. Iraqi officials later said they were considering sanctions, although they have since remained largely silent on the issue. "The deal was signed on October 18. It is binding and everybody is working towards that. It's normal, just like any other contract we have with any other company," Hawrami told Reuters in an interview in the Kurdish capital Arbil. "In the field of exploration, there is a lot of work to be done in the planning and preparation and so on. It only happened very recently so it is early days," he said. "There is nothing standing in the way of this." The deal heightened tensions between Baghdad and Arbil, which have long-running disputes over oil and land, as U.S. troops pulled out of Iraq. Territories disputed by the Kurds and the Arab-led government in Baghdad are considered a potential flashpoint in Iraq. As well as the deal with Exxon, the KRG was in talks with other oil majors and expected further such deals to be agreed in the next few months. "If you're talking about the super majors and majors we have some of them like Marathon, Repsol, OMV etc. working here already. More recently Exxon Mobil came in," said Hawrami. "If you're talking this size companies, then yes, we are talking to a number of them and we think the next few months will lead to some further deals," he said. "But also some of these companies are looking at acquisitions and consolidations. The market is very buoyant ... we are talking to oil companies and they are also talking to each other, so the situation is very dynamic." Confidentiality agreements prevented the ministry disclosing which companies were involved in the talks, but, Hawrami said: "When the deal happens we will announce it." At least one of the six blocks assigned to Exxon lies outside the present formal borders of the KRG, in areas whose control has yet to be agreed by Kurdistan and Baghdad. As far as the Kurds are concerned, the areas are not disputed but are under KRG control and the Baghdad government should agree to hold a referendum in those areas, delayed since 2007, to resolve the issue. In any case, Hawrami said, any revenues from the blocks would be shared with the central government, so it should not be an issue. As much as a third of the oil extracted in northern Iraq is refined locally for domestic use, partly due to late payments from Baghdad for crude pumped into the major pipeline to Turkey, and partly because it reduces the costs of producers. The present situation was neither in the interests of Baghdad, nor the KRG, he said. "We would probably get better value by putting everything into the pipeline for export, but then there would have to be a guaranteed payment to actually make sure this works economically for all sides," he said. Production is expected to reach 1 million bpd by 2015, he said. At the heart of the issue was the lack of a national oil law to govern the distribution of oil revenues. At present, revenues are pooled and distributed according to population. Kurdistan gets 17 percent of the revenues. The new draft oil and gas law has faced years of delay. Its adoption has long been considered critical to the success of Iraq's rapidly developing oil sector, although Baghdad has signed multibillion-dollar contracts with global oil majors despite antiquated legal safeguards. Iraqi Prime Minister Nuri al-Maliki and KRG Prime Minister Barham Salih agreed during talks in Baghdad in October that by Dec. 31, they would either amend a 2007 hydrocarbons law as agreed by all political factions or adopt the 2007 law as is. But by the end of last year, neither had been done. "We sat down and did our own review of the 2007 law and the parts we would like to see changed. We sent that back to the office of the prime minister and the (Oil) Minister (Abdul-Kareem) Luaibi and we sent it to parliament in Baghdad highlighting our views," said Hawrami. "We invited the Ministry of Oil to do the same, so as far as I know the process is back to the parliament, so we'll see." In the meantime Iraqi Kurdistan is developing its resources and the capability to export crude to international markets. Hawrami said the KRG was close to completing a $400 million deal with Genel Energy to build an oil pipeline to link its Tak Tak oilfield with Iraq's export pipeline to Turkey's Mediterranean port of Ceyhan. "Already we are very close to signing our first agreement on a pipeline in Kurdistan to carry about half a million barrels a day and then to expand the capacity to 1,000,000 barrels," he said. "In fact it's been approved - it's more of a question of finalising it within the next week or so." Ashti Hawrami, the Kurdistan Regional Government (KRG) Minister for Natural Resources, has told Reuters that the KRG’s contract with Exxon Mobil is significant because it is the first time that a company of its size and capacity has come to Kurdistan for oil exploration. The contract was finalised on 18th October 2011 and the company is in the early stages of plans and preparations and so far it has encountered no difficulties. The minister confirmed that the KRG is in the process of signing further contracts with several more companies, including Marso, Rapsol and OMV. “The Iraqi government will not create any problems with these contracts because the oil revenue will be shared with the central government, even though some areas of oilfields have not been added back to KRG territory”, he told Reuters. He confirmed that Kurdistan oil production is expected to reach 1 million barrels per day by 2015. The KRG is about to sign a $400 million deal with Genel Energy to connect the pipeline from the Tak Tak oilfield to the main Iraqi-owned pipeline going into Turkey. However, the KRG is also in negotiations with other companies about the building of the KRG’s own pipeline to the outside world – and this is a reason for soaring share prices of companies such as Gulf Keystone. Gulf Keystone Petroleum has invited bidders to build a pipeline that would allow the much-watched oil & gas company to export vast supplies of black gold from its key Kurdistan field. This pipeline would have the capacity to handle 500,000 barrels a day. There is also an option to build a second pipeline, of similar capacity, which would ramp up production to a million barrels a day. That would be more than 1 per cent of the world's oil needs and explains why super-majors are running the slide rule over the company. Exxon Mobil, the first oil major to move into Iraqi Kurdistan, is quietly mobilising in Arbil despite strenuous objections from the central government. Since the bold play came to light in November, the company has kept silent - fueling speculation that it froze the deal and bowed to Baghdad, which has long held that all foreign oil deals signed with the Kurdistan Regional Government (KRG) are illegal. But Kurdish officials insist that investment is going ahead and movement on the ground supports their claims. "They (Exxon) are definitely here and they are definitely assessing living and working accommodation," said a Western industry source in Arbil, at the heart of Iraq's northern Kurdish region. "There are around 10 individuals here at any one time looking at what it takes to fully mobilise here - office space, housing space, these types of things. No oil company comes in in a day." Exxon executives met the region's Natural Resources Minister Ashti Hawrami last week, sources in Arbil said, and are preparing to issue a tender for seismic work for some, if not all, of the six exploration blocks acquired in October. The move north sparked fury in Baghdad, which is threatening to take action against Exxon - in charge of developing the supergiant West Qurna-1 oil field in southern Iraq. Exxon has been summoned to the oil ministry for final talks. It is unclear whether the discussions would take place before the U.S. major's fourth quarter results on Jan. 31 - when it is also expected to go public with its Kurdistan investment. In the meantime, however, it is business as usual - production at West Qurna-1 has risen to about 390,000 barrels per day and Exxon continues to lead a multi-billion dollar water injection project that is crucial to boosting output in the south. Before signing the deal with Kurdistan, Exxon was sure to have weighed any possible legal challenges. "I'm sure Exxon has more lawyers than probably there are Ministry of Oil officials in Baghdad," said the industry source. Such calculations are likely to influence other oil majors who may be considering moving into Kurdistan, and the lack of concrete action from Baghdad as yet is sure to reinforce the belief that it could prove a sound investment. The KRG's Hawrami told Reuters this month the KRG was in talks with other oil majors and he expected further agreements to be signed in the next few months. Lack of security, political instability, bureaucracy and the relatively unattractive oil deals in the rest of Iraq are driving international oil majors towards following Exxon's lead and signing exploration and production contracts with Kurdistan. After Exxon snapped up the last unclaimed Kurdish territory, new arrivals will be looking to farm into existing blocs. France's Total is keen to move into the north, sources said, and a link up with Anglo-French explorer Perenco in the Sindi-Amedi block along the Turkish border is one scenario. Total also has a minority stake in the Halfaya oil field in southern Iraq. Other names frequently mentioned are Eni and Lukoil - that are also involved in the south of Iraq. Chevron and Conoco Phillips, which have nothing at stake, may also be interested, said the Western industry source. "Ashti Hawrami was very clever in the way he set up the oil industry here, starting with small companies to get things off the ground," said an Western oil executive who declined to be named. "It was almost designed to lure in the oil majors, and that is what we are seeing now." With the KRG estimating it has 45 billion barrels of oil reserves, oil executives continue to mill around the luxury five-star Rotana hotel in the Kurdish capital Arbil. While the calculation and hard-bargaining goes on behind the blast walls of ministries and the smoked glass of swanky hotels, the city of Arbil is showing all the signs of an oil boom town in the making, a far cry from the dusty backwater before 2003. Now the latest Porsches, Maseratis and Range Rovers jostle with the albeit largely new pick-up trucks preferred by the masses on the still pot-holed roads. Five-star hotels are swiftly springing up and Kurdish shoppers buy designer brands at swish shopping malls with an air of confidence in the future. Gulf Keystone today provides an update on its ongoing exploration and appraisal programme in the Kurdistan Region of Iraq, which includes the Shaikan block, a major discovery with independently audited gross oil-in-place volumes of between 8 billion barrels to 13.4 billion barrels calculated on the P90 to P10 basis with a mean value of 10.5 billion barrels. The well testing programme for the Shaikan-4 appraisal well, drilled 6 km to the west of the Shaikan-1 discovery well, is ongoing with two well tests in the Triassic having been completed to date. Five further tests are planned in the Jurassic and Triassic. In the course of the first well test conducted in the Kurre Chine C formation, Shaikan-4 achieved a flow rate of 563 barrels of oil per day (bopd) and 3.65 mmscf/d of gas at a 328 psi flowing wellhead pressure. In the course of the second well test, Shaikan-4 tested a thin zone at the bottom of the Kurre Chine B formation achieving a flow rate of 4,970 bopd and 7.0 mmscf/d of gas at a 1,101 psi flowing wellhead pressure with initial results indicating a 39 degree API fluid. The Shaikan-5 appraisal well, 6 km to the north-east of the Shaikan-2 appraisal well, is currently drilling at a measured depth of 1,571 metres in the lower Cretaceous to the estimated total depth ("TD") of 3,500 metres subject to technical conditions. The Shaikan-6 appraisal well, 9 km to the east of the Shaikan-2 appraisal well, has drilled to a measured depth of 844 metres in the Cretaceous and 20" casing has been set. The well will drill to the estimated TD of 3,800 metres subject to technical conditions. On 17 January 2012, the Operator of the Akri-Bijeel block spudded Aqra-1, the first appraisal well to assess the Bijell discovery with the Operator's current P50 estimate of 2.4 billion barrels of oil in place. The well is being drilled 8 km to the north-west of the Bijell‑1 discovery welland 26 km to the west-northwest of the Bekhme-1 exploration well to an estimated TD of over 4,700 metres in the Triassic subject to technical conditions. According to the Operator's Akri-Bijeel block operational update and 2012 outlook dated 28 December 2011, the Aqra-1 appraisal well, which is expected to be tested in H2 2012, will be followed in 2012 by two exploration wells (Bakrman-1 and Gulak-1) and three additional appraisal wells (Bijell-2, Qalati-1 and Qandagul-1), as well as by two further appraisal wells in 2013. In addition, an extended well test is planned for the Bijell-1 discovery well in 2012, similar to the ongoing successful Shaikan-1 & 3 extended well test. Gulf Keystone has a 20 per cent working interest in the Akri-Bijeel block operated by Kalegran Ltd., a 100 per cent subsidiary of MOL Hungarian Oil and Gas Plc., which holds 80 per cent working interest in the block. Operator's P50 resource estimate for the Akri-Bijeel block is 2.4 billion barrels of oil-in-place. The first exploration well on the Ber Bahr block is drilling at a measured depth of 2,778 metres in the Triassic to the estimated TD of 3,000 metres subject to technical conditions. Gulf Keystone has a 40 per cent working interest in the Ber Bahr block operated by Genel Energy, which holds a 40 per cent working interest in the block. The Kurdistan Regional Government has a 20 per cent carried interest in the Ber Bahr Production Sharing Contract. The Operator's resource estimate for the Ber Bahr block is 1.5 billion barrels of oil equivalent-initially-in-place. "Initial results of the Shaikan-4 well testing programme are very encouraging with logging results indicating that Shaikan-4 may be the best well which Gulf Keystone has logged to date in the Kurdistan Region of Iraq. We look forward to adding to our already outstanding drilling success in the region by completing further Shaikan-4 well tests, which will be followed by more results from the Shaikan-5 and Shaikan-6 appraisal wells before the appraisal programme of the Shaikan world-class discovery is completed. Initial results from the Ber Bahr-1 exploration well and progress in the 2012 wide-ranging exploration, appraisal and early development programme of the Akri-Bijeel block are also highly anticipated." One of the French oil companies are now in negotiations with Kurdistan to sign oil contracts for explorations of oil and gas in Kurdistan. Sunday times of UK announced today that in few weeks the contents of the oil contacts will be revealed to public that currently French Total oil company is negotiating with Kurdistan Gov't. for the exploration of oil and gas. according to the newspaper the company has come to kurdistan and done its own researches but no details have been announced yet. 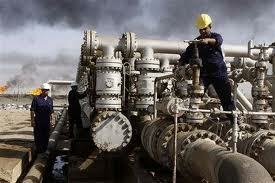 worth mentioning Kurdistan has promised to level up its production of oil to 1 million barrel per day by 2015. BAGHDAD, — Baghdad has no legal right to cancel a major oil contract with Exxon Mobil in retaliation for its involvement in semi-autonomous Kurdistan, the head of Iraq's parliamentary oil and energy committee said on Tuesday. "There are no blacklists in parliament," said Adnan al-Janabi on the sidelines of an oil conference in London. Exxon became the first major to move into the northern Kurdistan region in mid-October when it signed a contract for six exploration blocks with Kurdish authorities. The Kurdistan Regional Government KRG,www.ekurd.net is locked in a feud with the Arab-dominated central government in Baghdad over territory and oil rights. The Iraqi oil ministry has said Exxon's deal was illegal and could result in termination of its contract to develop the major West Qurna Phase One oilfield in the south. "The contracts (signed) by the central government and the Kurdish region are not fully constitutional. We need to pass the oil law to set up the federal council, which can then approve all of the contracts," Janabi said. OPEC member Iraq is still struggling to pass a modern oil and gas law to help settle disputes, including those surrounding oil production-sharing contracts signed by the KRG with foreign companies. Exxon has not commented publicly on the agreement, and Iraqi oil officials say the company has not responded to their requests for an explanation.